Bilberry supplements have become a popular way to control free radicals in the body. If you have never used bilberry products and are unsure of what the benefits would be, read on to discover what you have been missing. Bilberry (Vaccinium myrtillus) is a shrub native to the cooler climates of the northern hemisphere. Many berries such as huckleberry, cranberry, and blueberry also belong to the Ericaceae family and most produce edible berries. The bilberry most closely resembles the blueberry but the fruit is smaller and a deeper blue. Bilberries grow as single berries and have a deep red pulp. Due to the difficulty in growing bilberries, most are harvested from the wild and quickly frozen to preserve the berries. Since the fruit is very soft, the most common way bilberries are eaten is in jams or pies. For medicinal purposes, both the fruit and leaves are harvested. 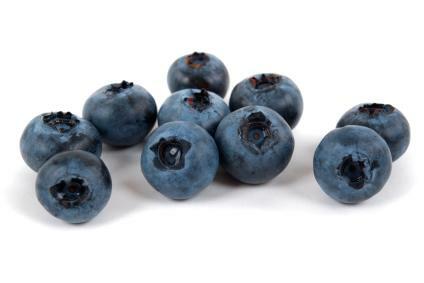 Tannins are an ingredient in bilberries that have been shown to reduce inflammation. For sore throats or digestive ailments, the tannins in bilberries may help ease the symptoms. Some people use bilberry teas to reduce upset stomach and diarrhea. There is also a substance found in the leaves of the bilberry plant that is considered a flavonoid. Flavonoids work by helping improve circulation, lower blood sugar and lower cholesterol levels. Diabetics may benefit greatly from using supplements containing bilberry flavonoids because high levels of blood sugar is detrimental. Increased circulation is also a benefit diabetics may enjoy when taking bilberry supplements. Glaucoma and other eye diseases are more prevalent in diabetics and evidence suggests using bilberry supplements may improve retina issues. Improved blood circulation also has a positive effect on blood pressure in many people using bilberries. Up to 60 grams of dried berries can be eaten daily. This dried form of bilberries can be used by diabetics or people suffering from stomach ailments. 160 mg of bilberry extract is the most common adult dose. People with eye disorders such as retina diseases may be prescribed this dosage twice per day. Others should consult their doctor before taking bilberry extracts for long periods of time due to potential side effects. Teas are made from bilberry leaves. Steep two teaspoons of crushed leaves in one cup of boiling water for three to five minutes. Remove leaves and drink no more than three times per day. Tea is helpful if you are plagued with diarrhea because it may be tolerated better than some of the other forms of bilberry. Do not take bilberry supplements if you are on blood thinners because the anti-coagulant properties in bilberries may cause medical issues. You should also avoid bilberry products if you are pregnant or nursing because there have not been enough studies to determine its safety for children and infants. Since bilberry products also contain chromium, you should avoid taking them with horsetail, brewer's yeast or other herbs that contain chromium to prevent an overdose.